Apart from increased minimum support prices (MSP) and a one-time unconditional loan waiver, this time the farmers are also demanding a special session of parliament dedicated to discussion around the agrarian distress. New Delhi: Over two lakh farmers will be in Delhi on November 29 and 30. Some will start walking into Delhi from different parts of the country on the night of November 28. They will spend the night at camps set up at different locations in the city. Others will join them on the morning of November 29 and march to Ramlila maidan. In the evening, a cultural programme will be held for farmers. The next day, November 30, all farmers will march from different assembly points in the city to the Parliament street. 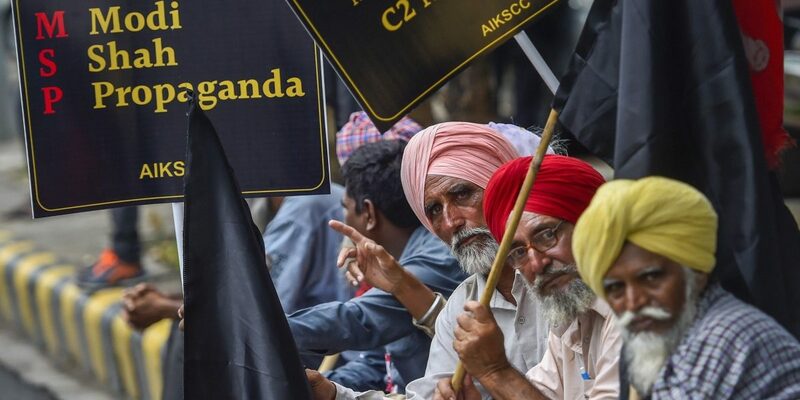 The farmers will be protesting under the aegis of the All India Kisan Sangharsh Coordination Committee (AIKSCC), which is a coalition group of over 200 farmer organisations from across the country. The coalition is also demanding that parliament pass two bills prepared by the AIKSCC – the freedom from indebtedness bill and a bill to guarantee remunerative MSP. Over the last 18 months, India has seen several farmer protests which have gained national prominence. 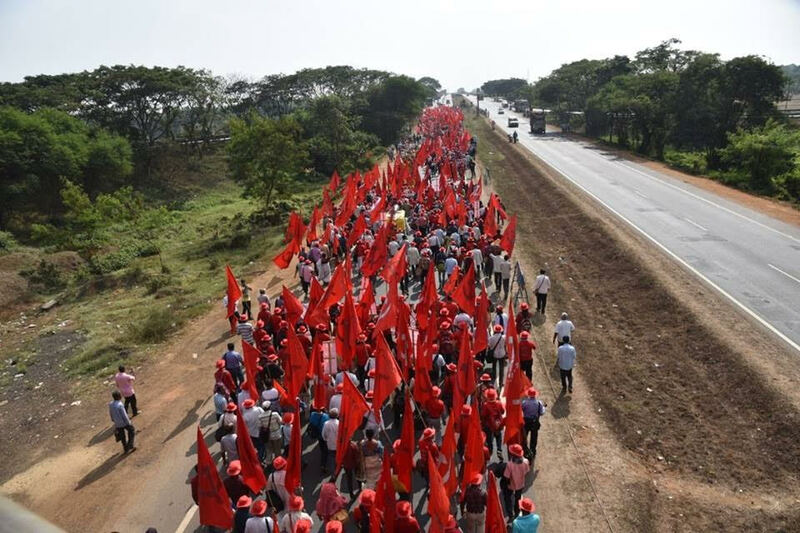 The Kisan long march from Nasik to Mumbai in March this year, the All India Kisan Sabha’s protest in Delhi in September and the Bhartiya Kisan Union rally in October, to name a few. Rural distress has been a cause for worry for several decades, but protests of the scale that we have seen this year have been rare. Small land holdings, low prices, weather induced crop loss have pushed farmers into cyclical debt. Between 1995 and 2016, 3,33,398 farmers committed suicide. That is over 15,000 suicides every year, 1,200 suicides each month or 42 suicides per day. Yet, the issue failed to galvanise activists, scholars and politicians across the spectrum. Now, the issue has become a rallying point for social activists, scholars and politicians to come together and express their support for a common cause on a shared platform, so much so that arch rivals in West Bengal – Trinamool Congress and the CPM – have even spoken about the possibility of collaborative efforts with rural distress acting as the glue. The tipping point perhaps came in Mandsaur in June 2017 when the police opened fire on farmers who were protesting a fall in prices. Six farmers were shot and killed. It was after Mandsaur that the AIKSCC was formed. It started with a coalition of a handful of farmer organisations and now includes 208 organisations from across the country. The key constituents of the AIKSCC are the CPM affiliate All India Kisan Sabha, the Yogendra Yadav-led Swaraj Abhiyan, V.M. Singh’s Rashtriya Kisan Mazdoor Sangathan and the Medha Patkar-led National Alliance of People’s Movements. Since Mandsaur, farmer protests have been a regular feature in almost all Indian states. Some of the key demands have been implementation of the 2006 Swaminathan Commission report and an unconditional one time loan waiver. The key recommendation of the Swaminathan commission report was that MSP be set at 1.5 times the cost. For instance, if the cost of producing a particular crop is Rs 1,000 per quintal, the MSP should be Rs 1,500 per quintal. In July this year the Narendra Modi led government announced that it had fulfilled the farmers’ MSP demand and set MSP at 1.5 times the cost. However, as The Wire reported at the time, that claim was misleading. The Swaminathan commission had recommended that MSP be set at 1.5 times C2 (comprehensive cost). But, the government decided to set MSP at 1.5 times A2FL, which is substantially lower than C2. The MSP for most crops was already higher than 1.5 times A2FL when the government made the announcement. Since then, another demand relating to the MSP has propped up – a constitutional guarantee that crops will not be sold at less than MSP. As The Wire has reported, market price for most crops has been lower than the MSP announced by the government. In fact, in October, market price for 10 of the 14 kharif crops was lower than the MSP announced by the government, according to data obtained from the government maintained portal Agmarknet. For three crops, the price was lower than not only this year’s MSP but also last year’s MSP. The other key demand of the farmers has been a one-time unconditional loan waiver. They argue that this essentially amounts to payment of arrears. The arrears of the price that they would have realised had the Swaminathan commission’s report been implemented in 2006 (had MSP been set at 1.5 times C2). The march to Delhi, ‘Dilli Challo’, is inspired by the success of the farmers’ long march to Mumbai in March when over 30,000 farmers marched on foot from Nasik to Mumbai to raise their demands. The march was organised by the CPM’s All India Kisan Sabha. 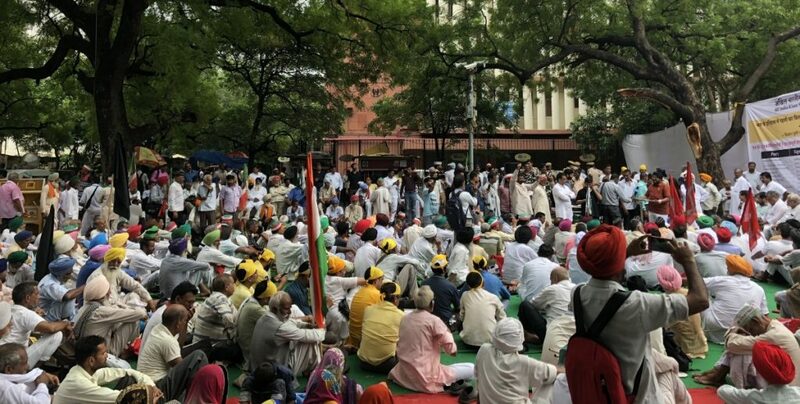 Farmers will march on November 29 and November 30 in different parts of Delhi and eventually gather at Parliament Street on the afternoon of November 30 where they will lodge their protest. Another protest is taking place in Singur in West Bengal. Organised by the AIKS, farmers are protesting against state inaction in returning land to farmers. Farmers were to be returned 997 acres which was acquired in 2007, but have been returned only 11 acres, according to the AIKS. The march of over 50,000 farmers commenced from Singur on Wednesday and will culminate at the Raj Bhavan in Kolkata on Thursday. The protest, according to the AIKS, is part of the protest taking place in Delhi.